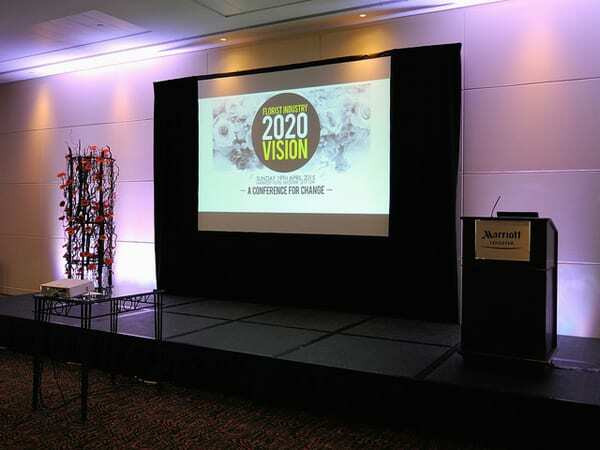 Last weekend, I went to the British Florist Association (BFA) 2020 Vision Conference in Leicester. With 150 attendees, there were talks by prominent names in the floristry industry followed by Q&A sessions. After an address by Brian Wills-Pope, Chairman of the BFA, Caroline Marshall-Foster of Purple Spotted Media/The Florist Magazine spoke about the current situation regarding the UK floristry industry and gave details about market size and consumer buying patterns. Next to present was Ian Finlayson, Managing Director of Practical Solutions International. Having worked in the past for one of the big supermarkets, Ian provided an insight into the path that flowers take from the field to the supermarket. Paul Poelstra, Managing Director of Flowerweb, spoke about the change in buying patterns for florists, due to the advent of the internet. Then, there was a panel discussion about the role of relay. The final session covered future plans for the BFA. If you’re not familiar with the BFA, it’s a non-profit-making organisation run by volunteers. And it’s the only trade association in the florist industry that is recognised by government, both in the UK and EU. With approximately 7,000 florists in the UK and the BFA membership currently standing at 350 members, they’re very keen to grow their membership. At the end of May, they’re planning on launching a new BFA consumer site to promote their members to the general public. In addition, there will be a second site, which will be a resource site for florists. 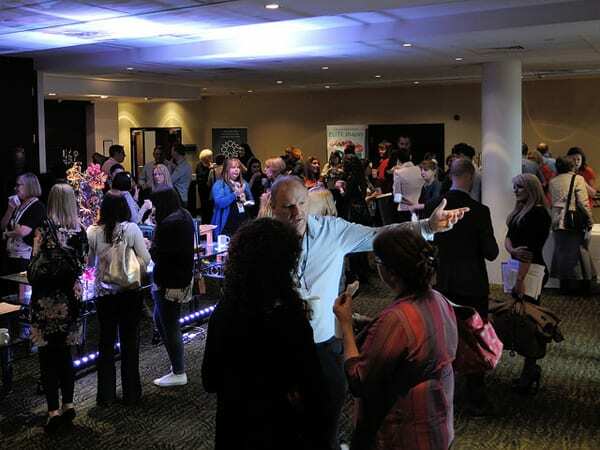 What was wonderful about the day was the huge cross-section of florists in attendance…from top London event florists and traditional bricks and mortar florists to florists who work from home. As well as gaining an insight into the challenges that they face, it was also great to hear the enterprising ways that they’ve addressed and surmounted issues. There was a real sense of positivity about the future and the ways that by going the extra mile, being distinctive and thinking outside the box, they can grow their businesses. It was also an excellent opportunity to network with florists and key suppliers in the industry. Sponsors for the event included FloriSmart, Chrysal UK, FloraBritain, floristPro and MPS. Many congratulations to the BFA and the Purple Spotted Media team for organising the event. P.S. Did you know that recently the BFA launched the Institute of Professional Florists (IoPF) to give recognition and accreditation to the role and talents of the individual professional florist. Simply click here for further details.